Buttigieg's poll numbers have climbed. Some polls put him behind only Vermont Sen. Bernie Sanders, who sought the party's nomination in 2016, and former Vice-President Joe Biden, who has not yet said he's running. His challenge is finding a way to sustain the momentum over the long term and avoiding becoming a "flavour-of-the-month" candidate. 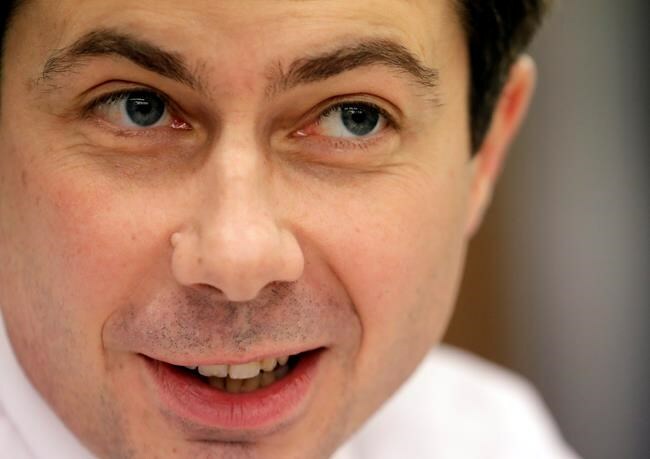 Scrutiny of his leadership in South Bend has increased, as has his criticism of Vice-President Mike Pence , who was Indiana's governor when Buttigieg was in his first term as mayor. South Bend, which neighbours the University of Notre Dame, was hit hard by the decline of manufacturing, dating to the 1963 closing of the Studebaker auto plant that costs thousands of residents their jobs. The hulking, dilapidated factory loomed over the city for much of the past 60 years as what Buttigieg called a daily reminder of South Bend's city's past. Partially remodeled, it's now a mixed-use technology centre outside downtown — and the setting for Bettigieg's announcement.